samosa recipe with step by step photos and video. homemade samosa if made correctly are always the best. 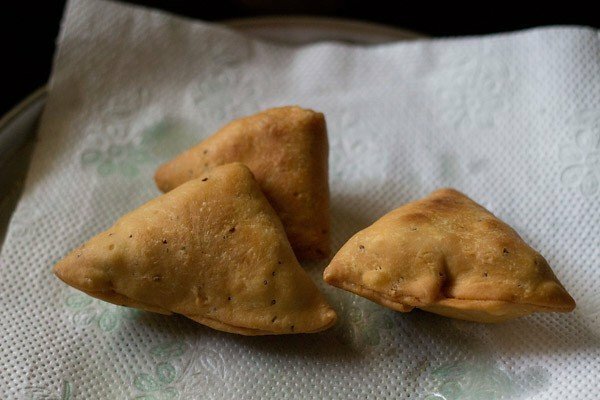 this punjabi samosa recipe will give you one of the best samosa you can make at home. 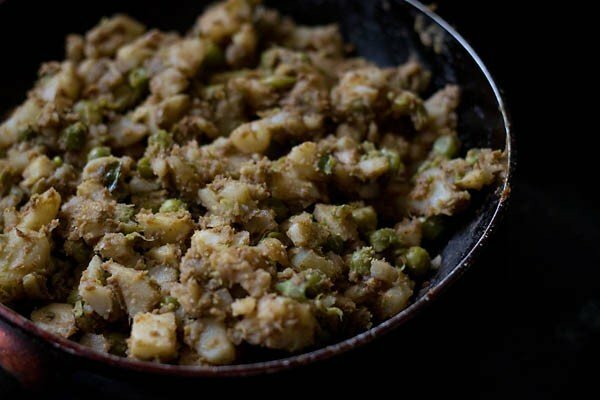 these samosa are flaky and crispy from outside with a tasty potato and peas stuffing. 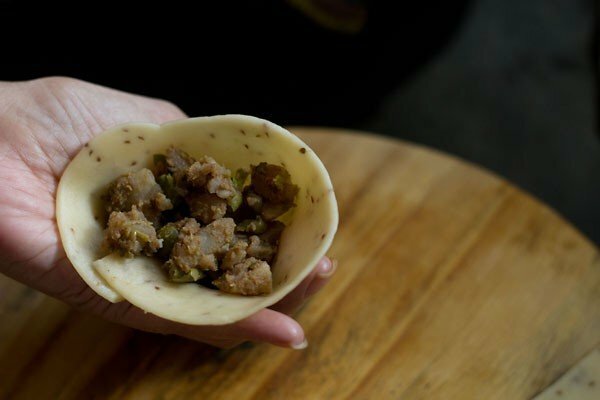 if you have time and patience to make samosa at home then you won’t feel like buying samosa from outside after trying this recipe. homemade samosa are not only hygienic but delicious as well. 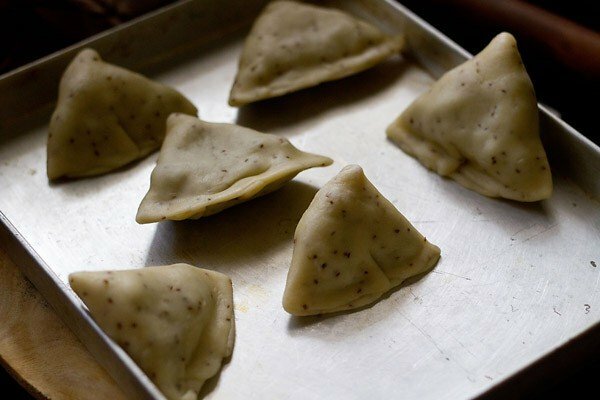 this recipe is a proper north indian punjabi samosa recipe which you are going to love. how to get the perfect samosa crust ? 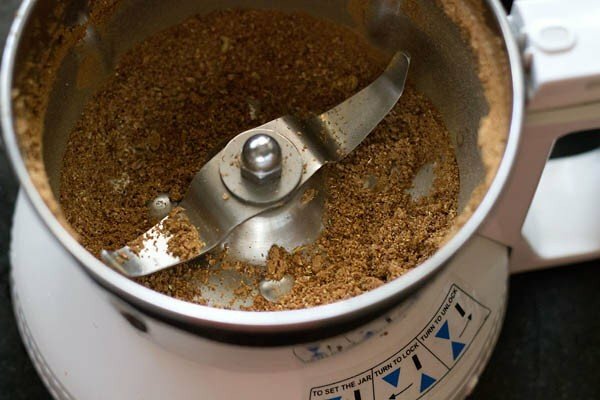 in this method, first the oil is heated to a high temperature. then the samosa are added in the hot oil. as soon as the samosa are placed in the hot oil, the flame is reduced to a low and then the samosa are fried on a low flame. this ensures that the samosa does not absorb too much oil. if you directly put the samosa on a low temperature oil and fry in sim, then it will absorb too much oil. 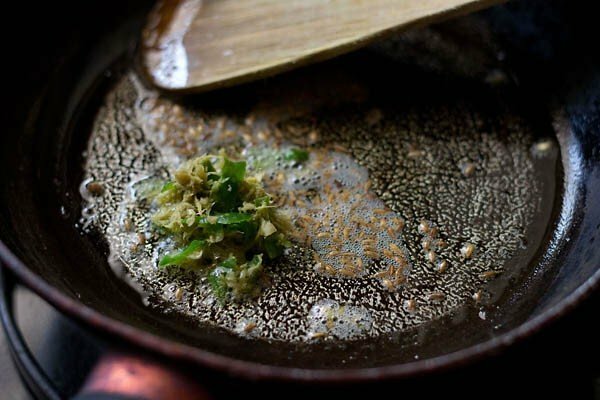 if you fry in hot oil, then there are chances of tiny air bubble pockets forming outside. the samosa are also not cooked from inside when fried in very hot oil. 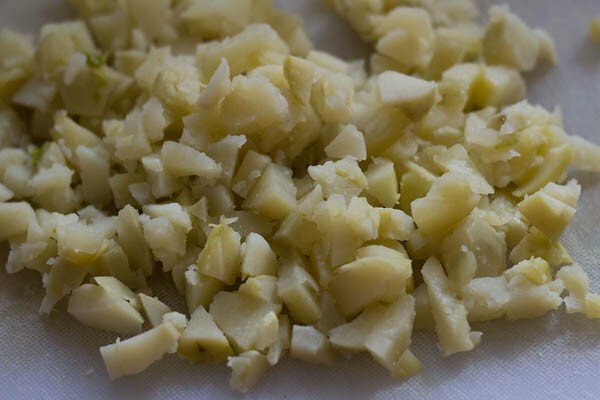 this is a little lengthy method and the one which i will suggest you to try while making samosa at home if you have time. in this method the samosa are very lightly fried not allowing them to become golden. 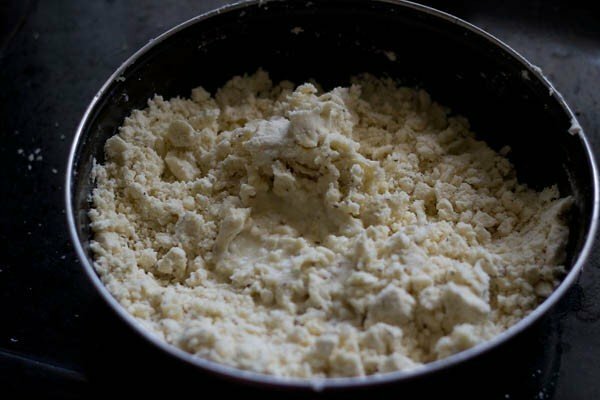 just that the dough cooks and thats it. 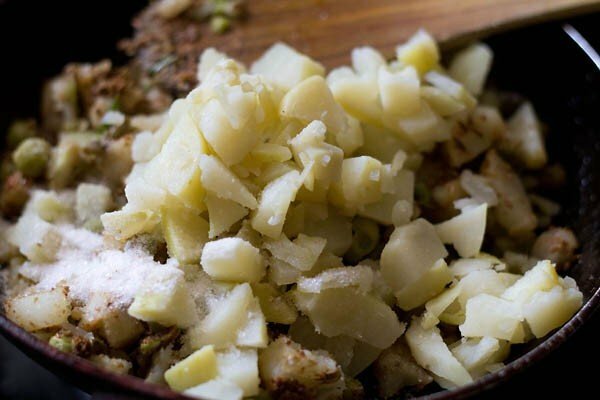 add the samosa in hot oil and remove them when the crust has become opaque and creamish white. 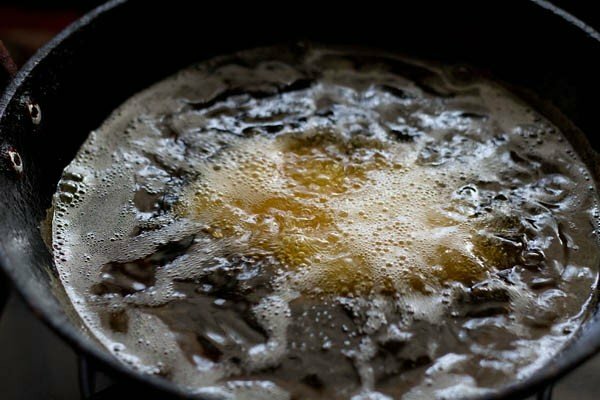 just enough fried that if you remove it from oil then it will not break. drain & keep them aside. do this with all the samosa. later lower the flame and then fry the once fried samosa again till they are golden. 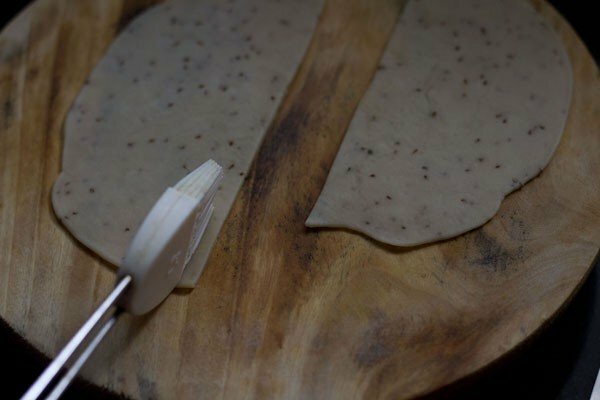 with both the methods, the final samosa will be crisp & flaky from outside and cooked well from inside – like the one you get in the markets and there will be no tiny air bubbles on the crust. a pic below of the samosa fried twice. the samosa which are baked have not much difference in the taste, but texture wise, the fried samosa are better. from the health perspective, baking method is better. i baked the samosa at 180 degrees celsius for about 30 mins. below is a pic of baked samosa. 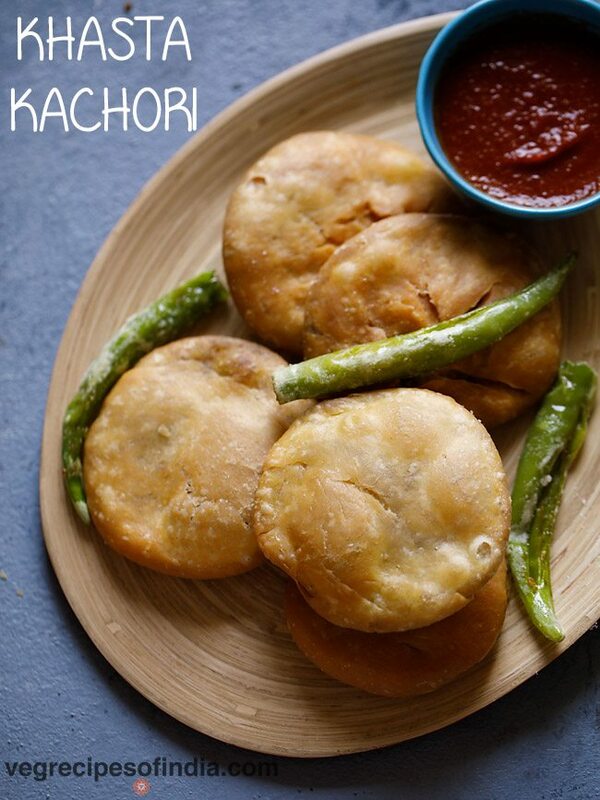 you can also check this different recipe of baked aloo samosa which has a better texture. 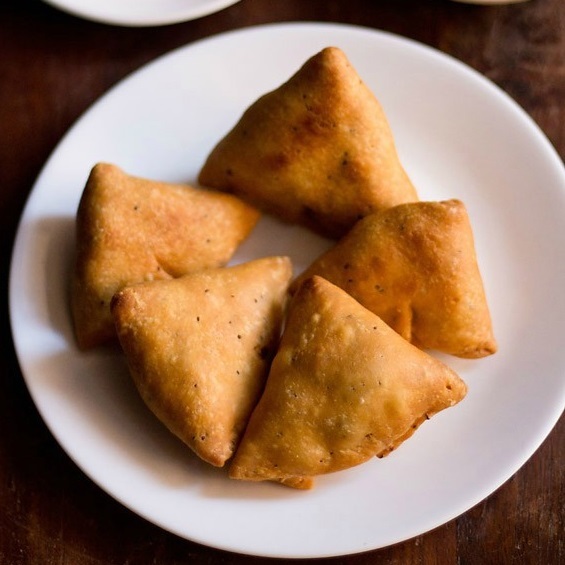 instead of baking, samosa can also be air fried. if you have an air fryer then do try making samosa in it. 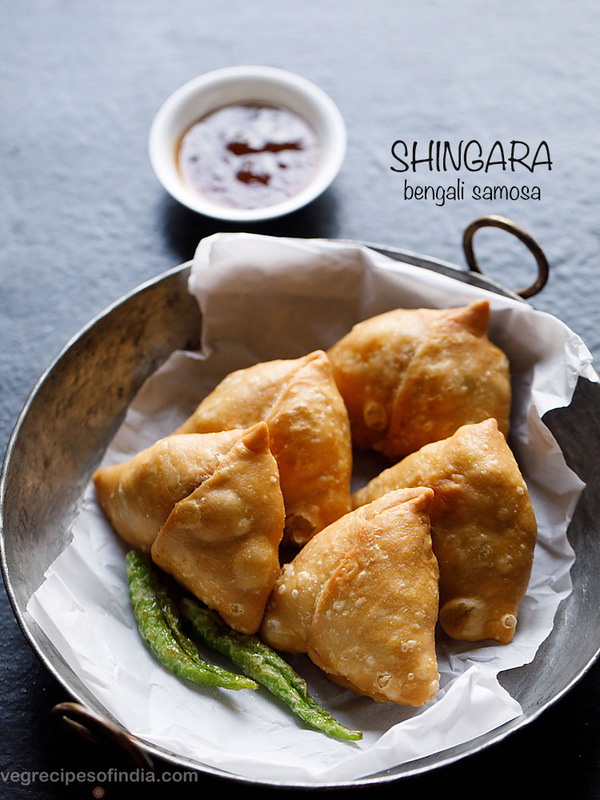 you will be pleasantly surprised with the texture of the air fried samosa. the air fried samosa have a better texture than the oven baked ones. they do taste similar to the fried samosa, minus too much of oil. for air frying, preheat air fryer at 180 degrees celsius for 10 minutes. brush samosa with oil and air fry at 180 degrees celsius till the samosa are golden. 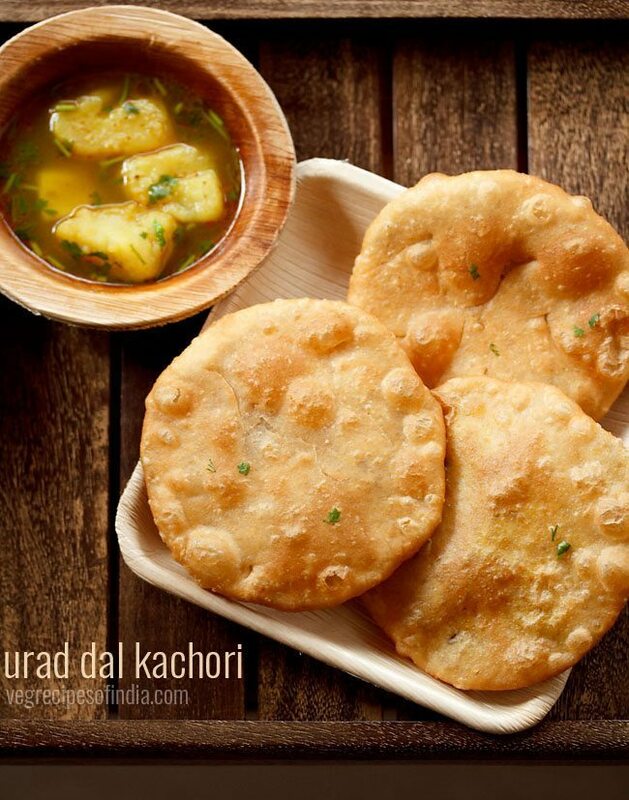 most indian recipes using maida (all purpose flour) can be easily made with whole wheat flour. 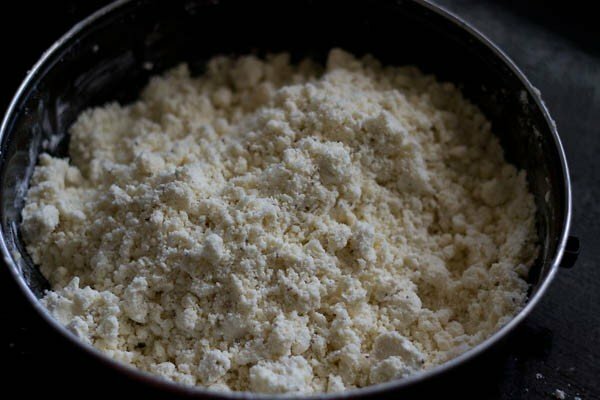 just remember to add more water while kneading as whole wheat flour absorbs more water. you can freeze the samosa. either shape them and then freeze. 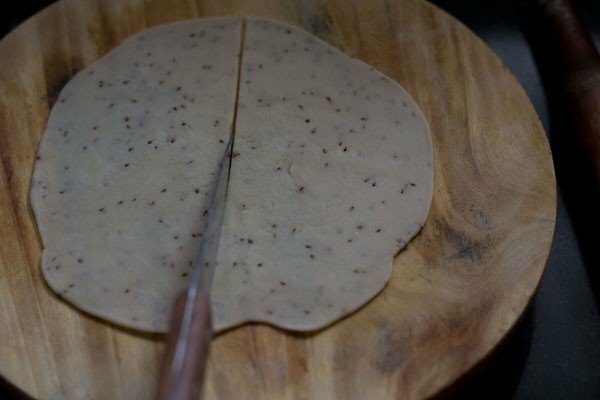 you can also first fry them till the crust becomes opaque and then freeze them. this way the samosa stay better for a longer time. 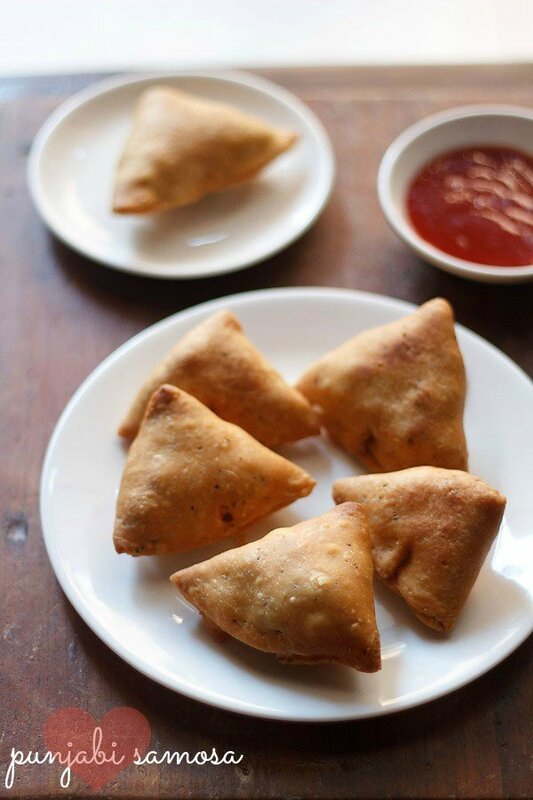 before frying, let the samosa come to room temperature and then fry. if fried when they are still cold, then they absorb more oil. 3. can samosa be made with puff pastry sheets or spring roll wrappers or phyllo sheets? if using puff pastry sheets, then bake samosa. you can even air fry. 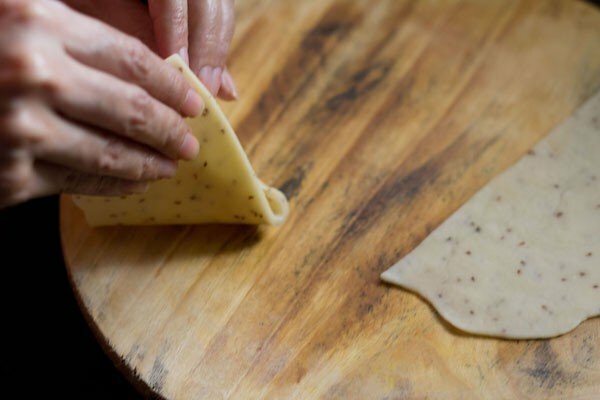 for spring roll wrappers, you can either fry or bake them. with phyllo sheets bake the samosa. samosa can become soft due to two reasons. 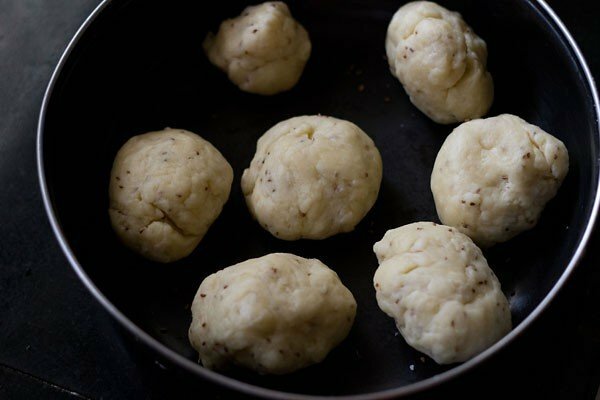 either the dough is soft or the oil is at a too low temperature while frying. 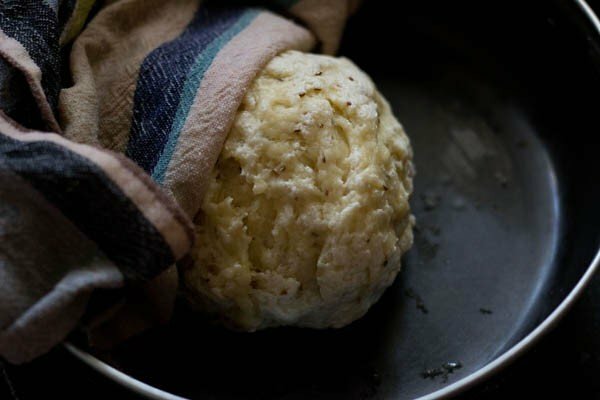 when you knead the dough, make sure that dough is tight and stiff. 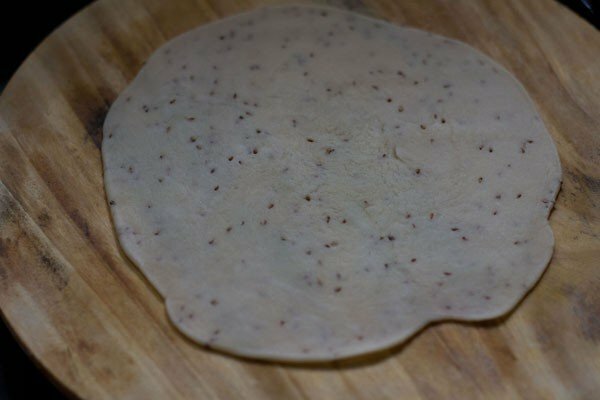 it should not be soft like chapati dough. 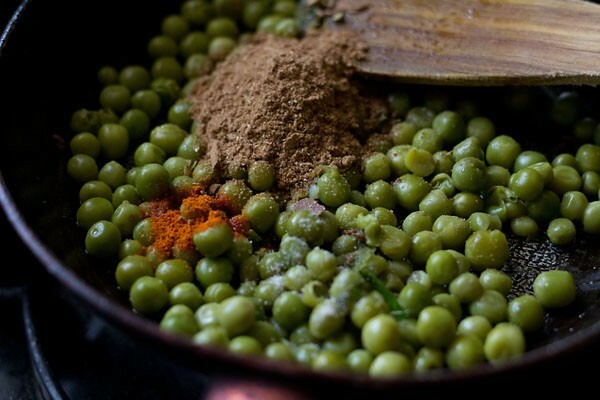 7. what is the recipe for the fried green chilly which they serve with punjabi samosa? 8. can samosa be stored and for how many days? 9. what to do with leftover samosa? you can warm the samosa on a tawa (griddle) or oven and have them with bread or phulkas. 11. can samosa be baked or air fried? in some places, the filling is totally mashed unlike the punjabi samosa. sweet samosa is also made with a stuffing of khoya (mawa) and dry fruits. this is made usually during festivals like diwali or holi. these samosa are also known as khoya samosa or dry fruits samosa. i have also made a video which shows the shaping, stuffing and deep frying the samosa. 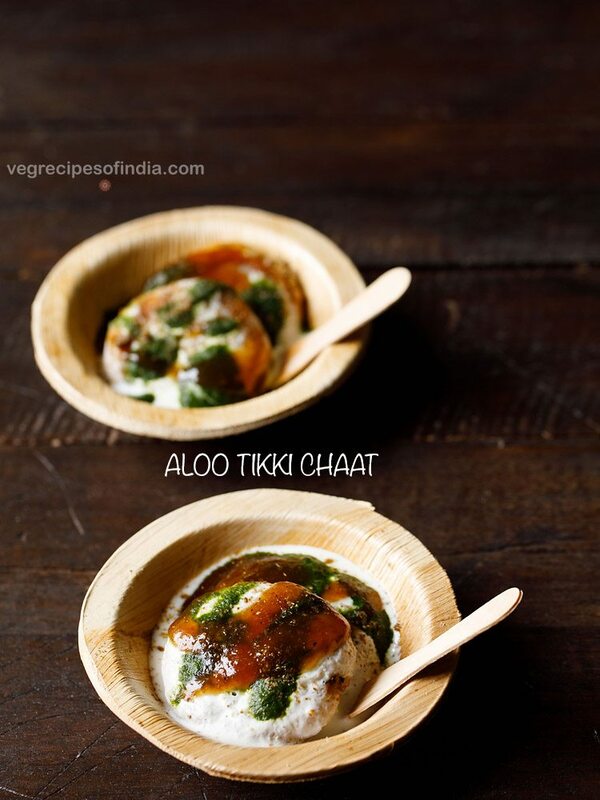 you can have a look at the video in the recipe card below, if the pics don’t help. pinch a part on the edge (check the video & pics). this helps the samosa to stand. 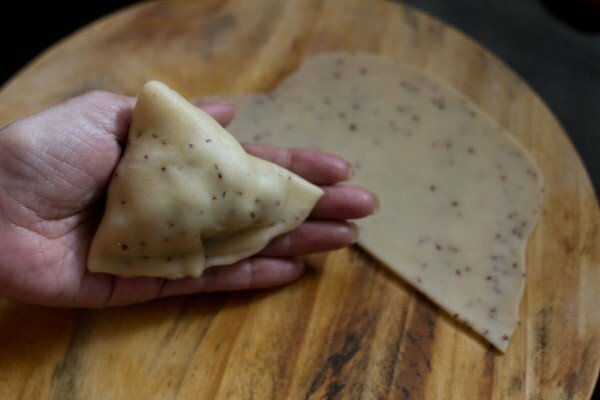 prepare all the samosa this way and keep covered with a moist kitchen napkin. now heat oil for deep frying in a kadai or pan. 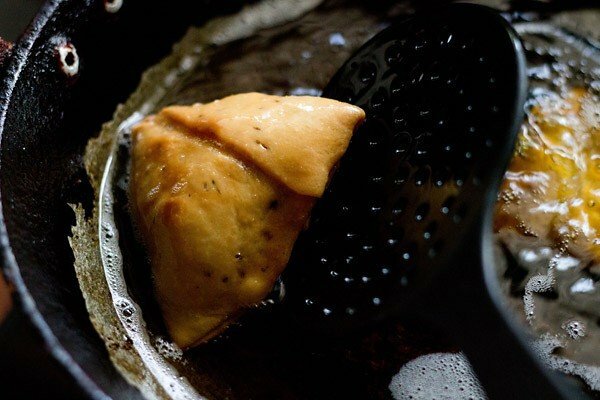 once the oil becomes hot (test by adding a small piece of dough – it should come up quickly once added to the hot oil) gently slide the prepared stuffed samosa & quickly reduce the flame to low. 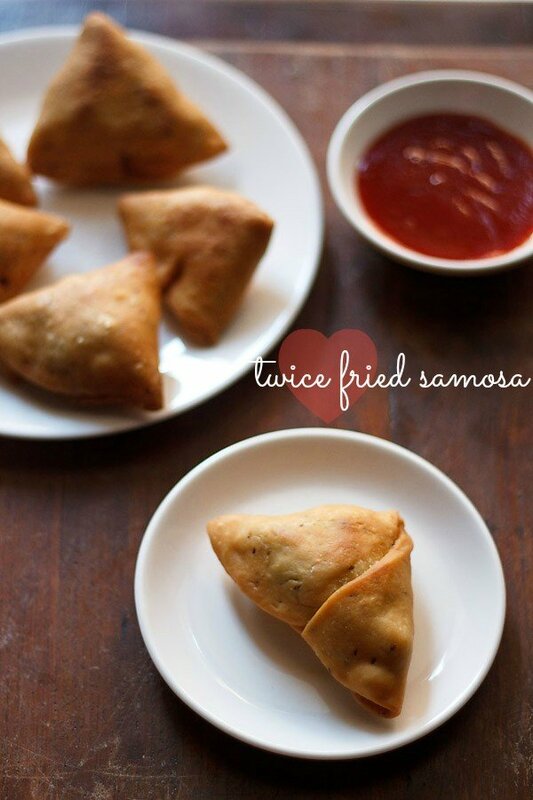 you can also fry the samosa twice as i have mentioned above in the post. turn over in between and fry the samosa till golden. 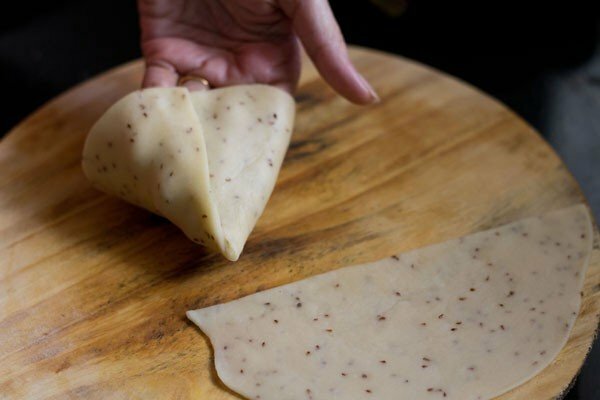 drain samosa on paper towels to remove excess oil. fry the samosa in batches. add the samosa and then lower the flame, thereby decreasing the temperature of oil. this way fry all the samosa in batches. serve samosa hot or warm with coriander chutney, saunth (tamarind chutney), tamarind-dates chutney or tomato sauce. 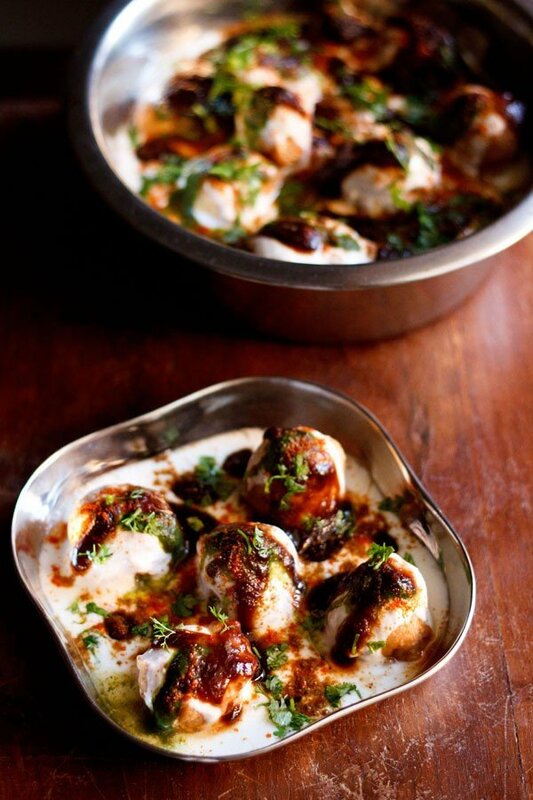 they can also be served with a yogurt dip or a plain raita. another way is to serve the samosa with punjabi chole (a spiced chickpea curry). even bread or pav (indian bread rolls) can be served with the samosa. 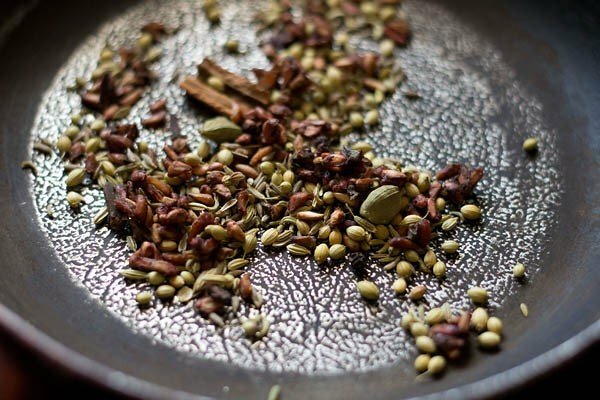 whatever you serve samosa with, remember to have hot masala chai along. brush oil lightly on the prepared samosa. place them in a baking tray and bake samosa for 30-35 mins or till light golden at 180 degrees C.
15: divide the dough into 6-7 pieces. 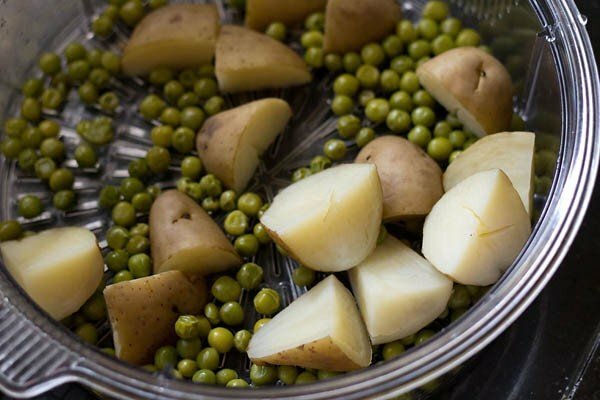 21. stuff the prepared samosa cone with the prepared potato-peas stuffing. 22: apply or brush some water on the top cone edge. pinch a part in the edge as shown in pic below. this helps the samosa to stand. 24: prepare all the samosa this way and keep covered with a moist kitchen napkin. 25: now heat oil for deep frying samosa in a kadai or pan. 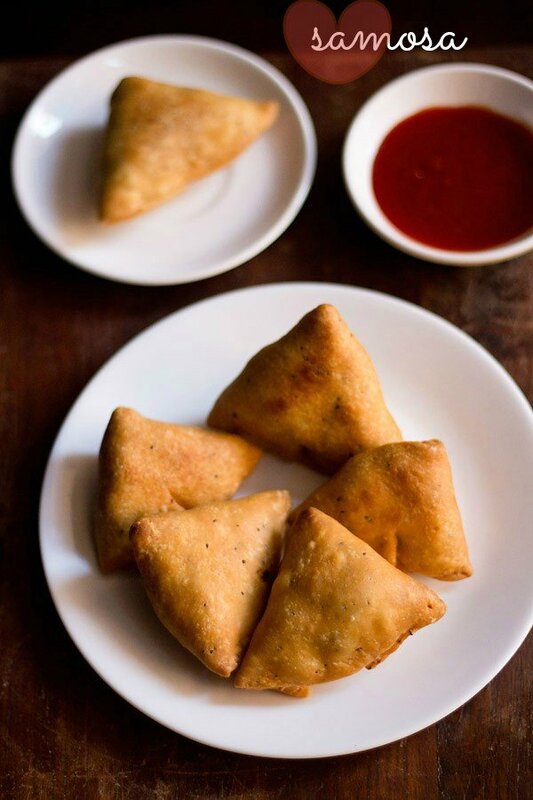 once the oil becomes hot (test by adding a small piece of dough – it should come up quickly once added to the hot oil) gently slide 3-4 of the prepared stuffed samosa & then reduce the flame to low. 26: turn over in between and fry the samosa till golden on a low flame. 27: drain samosa on paper towels to remove excess oil. 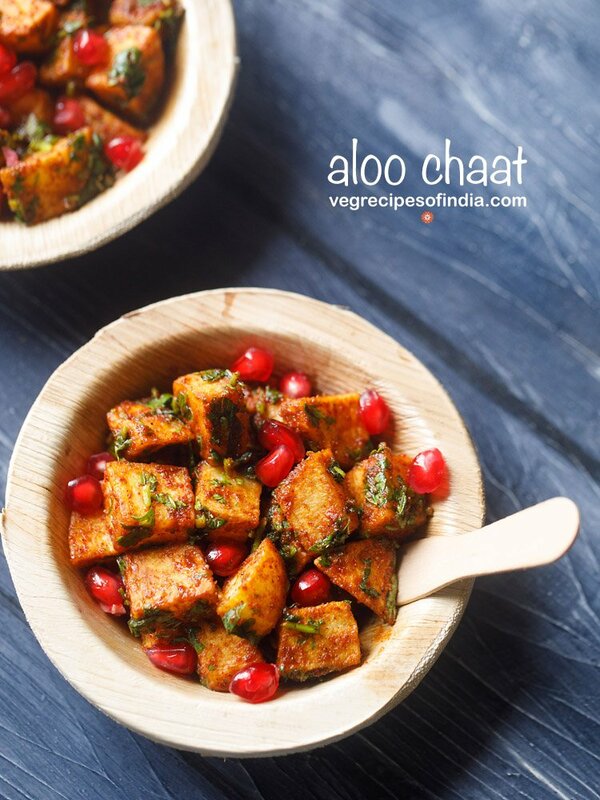 serve punjabi samosa hot or warm with coriander chutney or imli chutney (tamarind chutney) or tomato sauce. in north india, they also serve chole masala with samosa. its called as samosa chana chaat. the combo of samosa with masala chai is irresistible. north indian samosa are much bigger in size than what you see in below photo. i think almost double the size :-). Hi Dassana Mam! I have lot of passion for cooking. 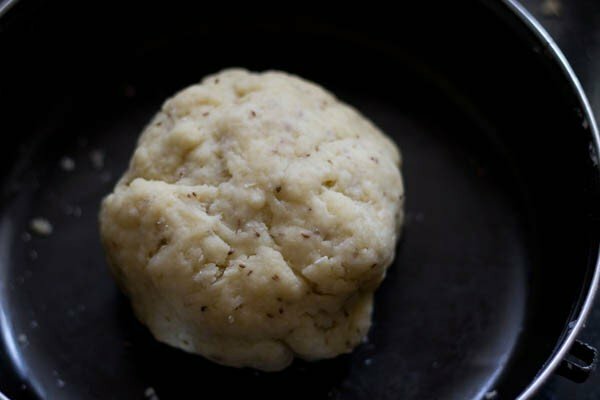 I love your blog and the way you post your recepies. Thank you 😊. You are my inspiration , I learned so many recepies from your blog. Thanks to you and your recepies. thank you revathi and i feel so good reading your comment. wish you all the best in your life. happy cooking. when you fry the samosa, deep frying method has to be used. so the oil will be more and the samosa will be almost covered in the oil. so the entire samosa will be fried first. then you reduce the flame. 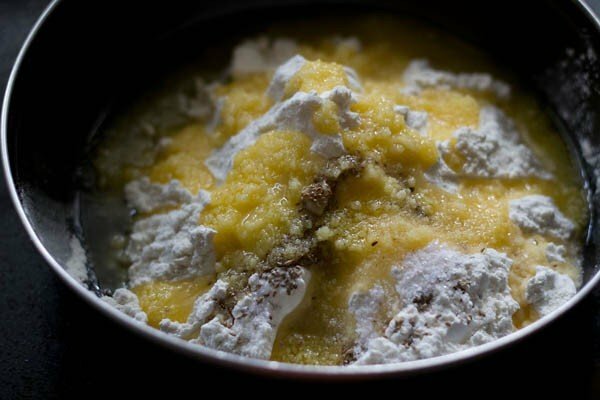 I always follow this website for cooking, love the clarity, description, and most of all i love the step by step photographs. the quality of the images is superlative. you make the food look exotic ! thanks a lot. glad to read your comment.